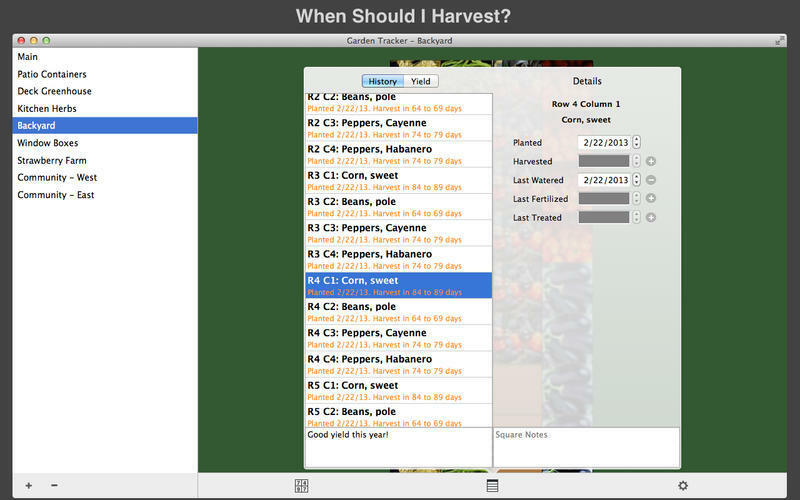 Plan and track your garden. 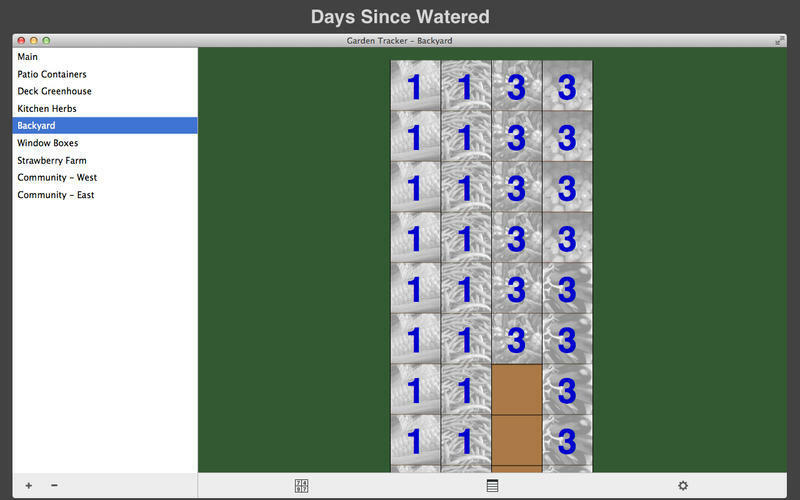 Is there a better alternative to Garden Tracker? 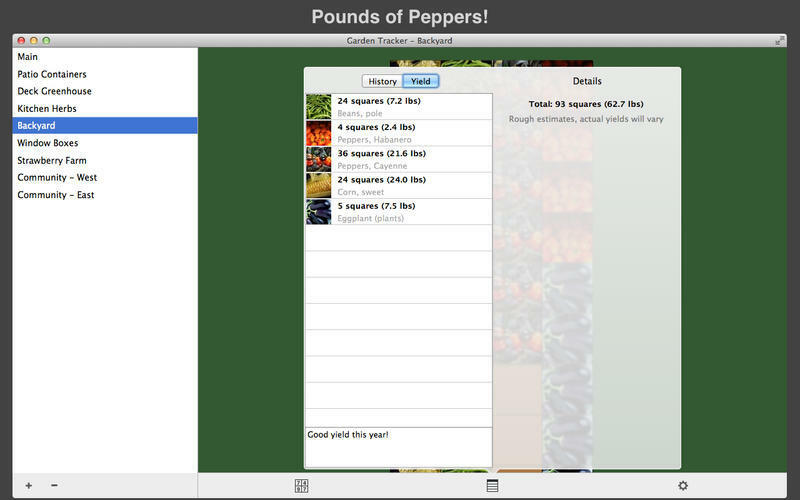 Is Garden Tracker really the best app in Lifestyles category? Will Garden Tracker work good on macOS 10.13.4? 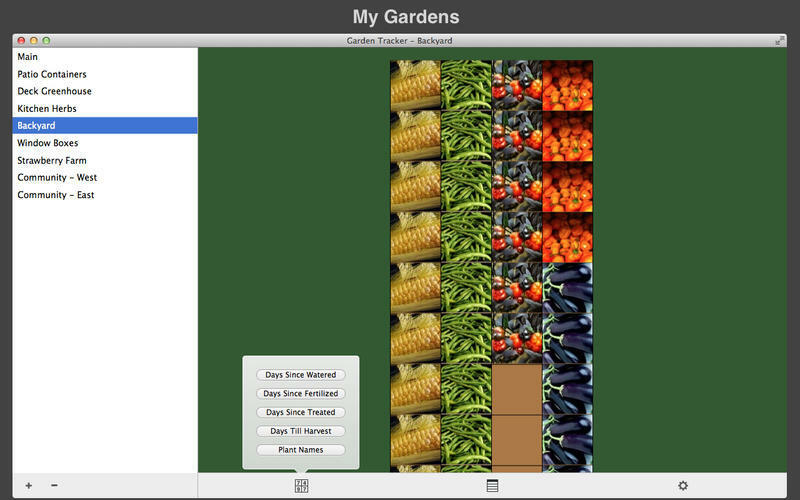 Garden Tracker lets you size and plan your garden plots, plant your vegetables, and then track your garden’s progress, including days to harvest, days since watered, and days since last fertilized. All this info is conveniently referenced in a grid you design. Plant description can now be edited in the Plants window. 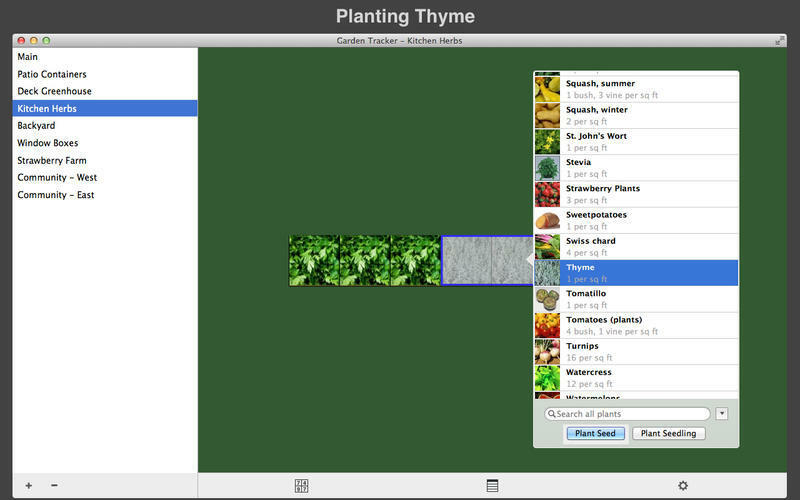 To show the Plants window, click the Window menu, then Plants. Garden Tracker needs a review. Be the first to review this app and get the discussion started! Garden Tracker needs a rating. Be the first to rate this app and get the discussion started!